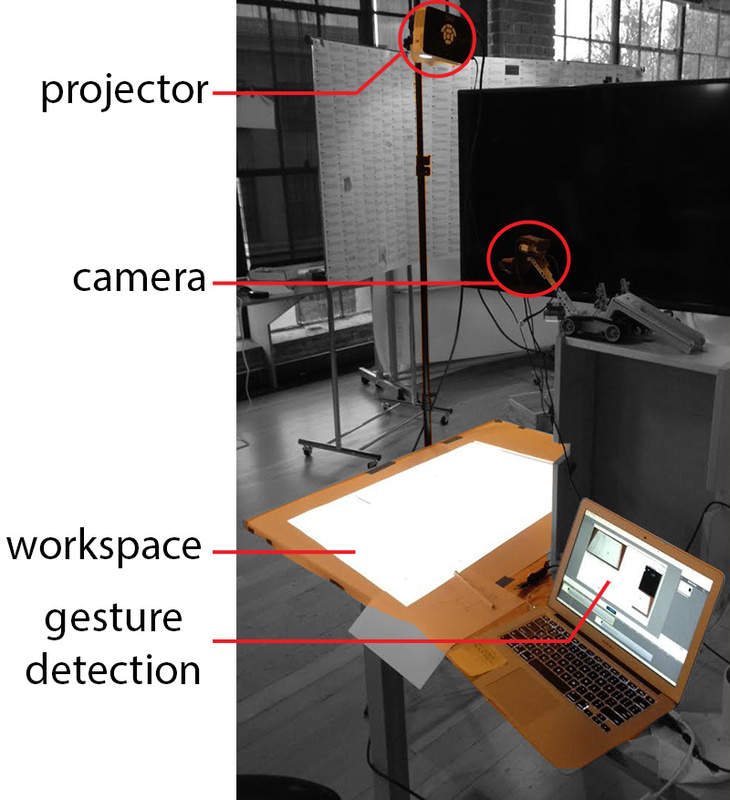 The BrightTable prototype explored how a graphical user interface can be integrated into conventional workflows such as drawing and arranging items on a desk. 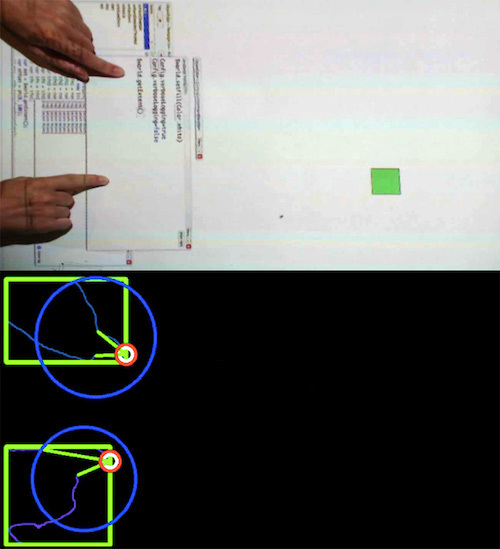 By projecting the user interface from the top and having a camera (and in a later version a Kinect sensor) detect objects and gestures, virtual objects can be controlled and real objects (such as drawings on a piece of paper) can be integrated in the virtual world. The source code for the computer vision part can be found at github.com/rksm/BrightTable.